Register Today for the 2019 AAOM Annual Conference! Oral Medicine is the discipline of dentistry concerned with the oral health care of medically complex patients - including the diagnosis and management of medical conditions that affect the oral and maxillofacial region. Our members care for thousands of patients whose underlying medical condition affect oral health and delivery of dental care. We advocate for optimal oral health and healthcare for everyone with medical illness. Founded in 1945, AAOM offers credentialing, resources and professional community for oral medicine practitioners. Our membership provides care to thousands. We also offer resources - including our DoctorFinder feature - to help the public take advantage of this uniquely qualified specialty. Learn more about our Oral Medicine Experts. 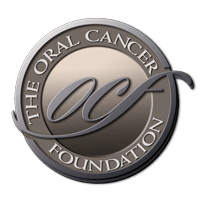 The American Academy of Oral Medicine promotes excellence in the management of oral health, with a special emphasis on the medically complex patient. We invite all healthcare providers to join the Academy, participate in our community and receive the benefits of membership. Oral Medicine practitioners are experts in complex oral and dental situations. They are familiar with and able to treat many complex conditions. AAOM offers patient information and a directory of specialists for your use.